So, a little over a year ago, CMON launched the Kickstarter for A Song of Ice & Fire: Miniatures Game, a new tactical miniatures style game based on the A Song of Ice & Fire book series by George R. R. Martin. 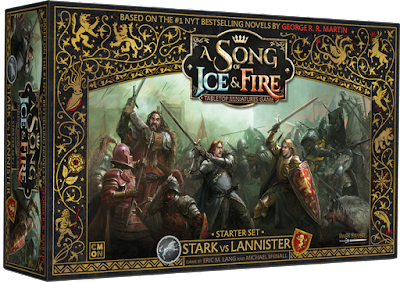 So, knowing all that, does the A Song of Ice & Fire Miniatures Game live up to the hype, or does it disappoint all the fans out there, like George R. R. Martin's promises of finishing the book series? The A Song of Ice & Fire Miniatures Game is a tactical miniatures war game for 2 or more players who build their best armies and compete for control over various objectives scattered throughout the battlefield. At the end of 6 rounds of gameplay, whoever has the most Victory Points, or sometimes is just left standing, wins. For those of you familiar with these style of war games, this is pretty standard fare. For those of you who AREN'T, it may shock you to know that the game starts, well, before the game starts! Each player comes to the table with a pre-built army made up of various Units of miniatures. 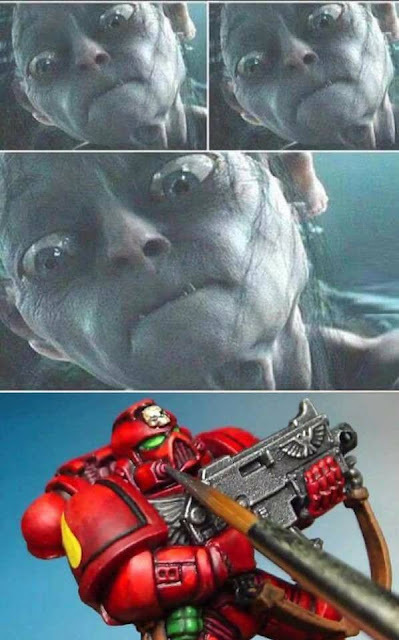 These Units each have a point value associated with it, and they add up to a predetermined value set by the players in order to ensure that each army is as fair as possible. For example, a unit of 12 Stark Sworn Swords (4 of whom are pictured above) costs 5 points. If the players were going to play a 30 point game, this player would have 25 more points to spend to fill out his army. You also have named fan favorite characters such as the Hound or Bronn, that you can add to these units (for a cost) which give them additional abilities or modified stats. But the most important choice you'll have to make is in your Commander. You see, each player gets what's called a Tactics Deck which is made up of all the sneaky, tricksy stuff that you can do on your turn, and a lot of times on your opponent's turn, when the time is right. The Commander is a free character that adds unique cards to the Tactics Deck. This means that if we're both playing as Lannisters, but if I have Jaime as my Commander and you have The Mountain as yours, we will both have VERY different tricks and play styles. And that's AWESOME! Because, let's be honest, the horse decapitating, man impaling, skull crushing Mountain would definitely lead an army differently than the expert dueling, opportunistic, king slaying Jaime, right? These Units that you have painstakingly assembled will slowly be whittled down during combat, as health is measured by the number of soldiers left in a unit, and when a Unit takes damage soldiers are removed from said Unit. The units all have stats that you'd expect to see from a tactical miniatures game: Attack, Defense, Movement, but they also have Morale. Morale is used to test the individual soldiers' loyalty. When a someone in the Unit gets hurt or dies, the entire Unit makes a Panic Test against that Morale stat, and if they don't succeed, individual soldiers start to RUN AWAY! I mean, functionally, it's essentially the same as just receiving more Wounds, but thematically, MAN, thematically, that's AMAZING! Oh, you just saw your best friend take an arrow to the eye? Well, you better be getting VERY WELL PAID or REALLY believe in the cause, because otherwise, you're gonna RUN sucka! Speaking of thematic gameplay, A Song of Ice & Fire (and Game of Thrones by extension) isn't just known for their epic battles. In fact, on Game of Thrones, there's usually only one, MAYBE two, battles per season. The rest of the series is about political intrigue and the dangers inherent. So, how does CMON replicate that? This is the Tactics Board, and on your turn, instead of moving one of your army Units, you can activate a Non-Combat Unit, characters who have no right on the battlefield per se, like Sansa Stark or Cersei Lannister, but can help influence the outcome by raising support or bribing soldiers. 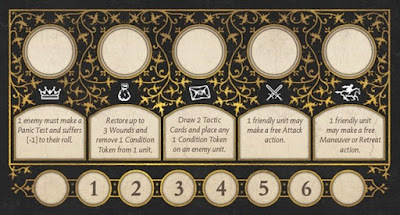 These NCUs can claim an open Zone on the Tactics Board which not only triggers an effect, like restoring Wounds to a Unit or giving a Unit a free Attack, but the symbols associated with each Zone have synergy with different Tactics and Character Cards, upgrading the effect of those Cards if you control a specific symbol on the Tactics Board! So, yes, while there's an area control, dice chucking good time happening on the main battlefield, you've got a HIGHLY competitive worker placement game happening at the SAME TIME, and I think that's just incredibly smart. It's a great way to add strategy to what would normally appear as a very simply gameplay system. Those of you who have already been following my blog know that the components are top notch. Heck, they're so good, I've been doing special editions of Painting Poorly to teach you how to paint your own minis! The cards are fine, and the cardboard terrain is a nice thick stock, though I would have preferred a linen finish for both. My biggest complaint in regards to components is the amount of minis that you get. 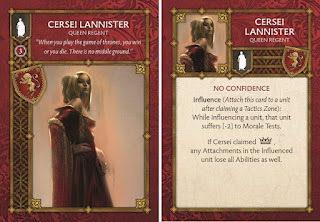 Now, don't get me wrong, you get 103 miniatures in the Stark vs. Lannister starter, and that is A LOT of minis, but a lot of minis does not necessarily mean a lot of POINTS. You see, the rulebook describes three sizes of games: Small Games which are 30 points, Standard Games which are 40, and Large Games which are 50. If you use every single piece of plastic that you legally can within the starter, you will only have 35 points on either army. Now, sure, that's more than enough to play a small game with a buddy, but if I'm spending $150 on a set, I'm going to be really mad if I don't even get enough to play a Standard Game! And one of the most important parts of these style of games is the post launch support, with official play and tournaments and whatnot... And after I spend $150, I can't even play a STANDARD GAME in a TOURNAMENT?!? I honestly don't know what the point size of an army will be for the tournament setting, but I HIGHLY doubt it's going to be 30! But It!, Try It!, or Fly It! So, I like this game. I REALLY like this game. The combat mechanics are very simple. Units make contact with each other, roll attack dice, roll defense dice, the difference is the number of guys killed. That's easy, it's intuitive, and anyone can pick that up after five to ten minutes of watching/explanation. And at the same time, there's a deeper strategy with the Tactics Board, and blocking your opponent from taking the spot they really want/need, while trying to manage your cards, and remembering the objective of the game mode you're playing. Not to mention, thematically, this game is AMAZING. In fact, that's probably the biggest strength of this game, is how much the theme affects gameplay. My only REAL issue with the theme is that NCUs can't die, and if you've ever seen Game of Thrones or read A Song of Ice & Fire, you'll know that King's Landing is just as deadly as the battlefield. However, I don't believe that your enjoyment of this game will be tied to your fandom. Even if this blog entry is the first you've heard of George R. R. Martin and his crazy world, there's still enough solid gameplay that I think you'll have a great time with this game. They WANT you to get addicted and become a completionist, and buy every extra unit, and preorder the Night's Watch and Wildlings Starters that are coming out in November. And as a vehicle for that, I mean, MAN, this does a good job. 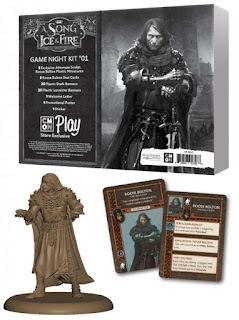 Now, I know this starter set isn't as guilty of this as some others (Star Wars: Legion, I'm looking at you...) and this complaint is ENTIRELY mitigated if you were a Kickstarter backer, or one of the lucky sons of guns who has a retail shop who is selling the Kickstarter pledge for $150, as there is PLENTY that comes with the KS pledge to build multiple variations of however many point armies you want. But if you're looking at coming in at the ground floor with the base starter, Starks vs. Lannisters, I don't know if I can recommend you just buying it sight unseen. There is already a TON of post launch support for this game, though. 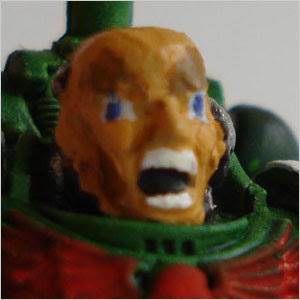 There are new units, new Characters, and even ESSENTIALLY a third faction in the Neutral faction coming down the pike. 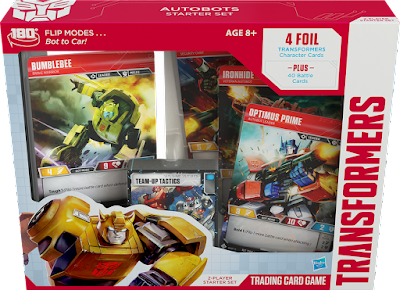 Not to mention, official play kits that are already making their way to retailers with exclusives that I'm sure will be a scalper's delight. Roose Bolton, you son of a b%#$! and make sure you follow me on Twitter or on Facebook! Nice summary! Simply put, it is awesome!! !